Before you run to the store to buy all new things, go up to the attic, check your hand-me-downs, and gather up all of your favorite family heirlooms. These are the items that will add warmth and a characteristic that no other home will have. Do you have Grandma’s quilt stashed in the linen closet? Perfect! Take it down and drape it over a bench or put it on display! Shop around at local yard sales, thrift stores, or Goodwill! You will be surprised at the pieces you find that will perfectly fill that space that needed a bit of love. Pieces that look a little worn give you more texture. You may even find something completely out of the ordinary, like the end table pictured below. This goes hand in hand with 1 and 2. If you find something old at a yard sale or something given to you by a family member, pair it with a new pillow or chair that you have had your eye on! This layering technique adds instant character and you can’t go wrong! Below you will see an antique natural wood table paired with contemporary windsor chairs, antique candle holders, and new dinnerware. 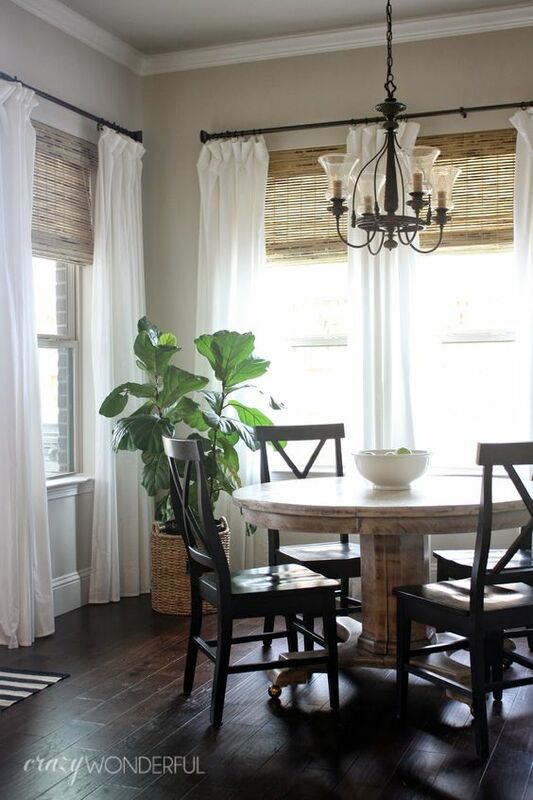 Adding curtains to any space instantly adds warmth, softness, and that oh-so-cozy feel you have been dreaming of. Make sure to hang your curtains higher than the window frame to add height to your space. 5. Live first and take your time! The best way to add character to your home is to wait and see how you use your space. 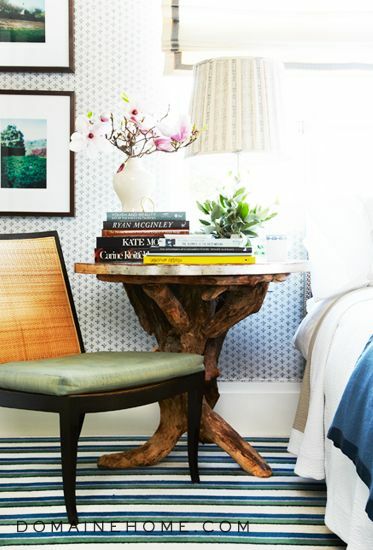 Make each corner functional and stylish! Let us know if you have any more tips and tricks to make your home more cozy! Leave any comments in the box below or on our Facebook! This entry was posted in Interior Design and tagged furniture albany, furniture moultrie, furniture tallahassee, furniture thomasville, furniture tifton, furniture valdosta, interior design on November 29, 2016 by Staci Wright. Sectional buying can be a daunting task if you are new to the game. What size do I need? What If I move ? Do I need to have a huge room for it to fit? We hope this post helps clarify some questions you may have and gives you the nudge you need to make that big decision. Whether you are custom ordering from a store in person or ordering online, you will come across terminology that may be confusing. Sectional components mostly consist of Right arm facing (RAF), Left arm facing (LAF), corner pieces, chaises or armless pieces. Right or left arm facing means that when you are looking at the sectional, the arm is on the right or left. An armless piece is useful to connect your LAF or RAF end pieces or add length to your piece and chaise lounges add an L-shaped length without the extra cushions. The sectional above features a left arm facing love seat and right arm facing chaise. A sofa with a chaise is a great option for a small space. This sectional is traditional L-shaped with a RAF love seat and LAF sofa with return. Before you start shopping, measure your space and draw out a floor plan! You need to know exactly how much room you have to work with, especially because the majority of sectional purchases are special orders and non-returnable. You want to take note of your high traffic areas, point of entrance and all doors and openings. Sectionals are great, but if you are blocking your entrances and flow of traffic, it may not be the best option for your space. Try not to become overwhelmed, find your measurements, and head to Turner’s so a designer can help you find the perfect sectional. We are confident that a sectional can quickly add functionality, comfort, and style that few other furnishings can provide. Have any questions, comments, or concerns? Let us know on our Facebook! This entry was posted in Buyers Guide and tagged buying a sectional, couch, furniture, interior design, measuring for sofa, sofa, turner's furniture, turner's furniture moultrie, turner's furniture tifton, turners furniture albany, turners furniture tallahassee, turners furniture thomasville, turners furniture valdosta on October 10, 2016 by Staci Wright. 1. Choose quality over quantity. You may be tempted to buy cheap so you can furnish all at once, but you must think about the future. Cheap furniture is a short term solution and will only last a few years before you purchase again. It is more economical to save and buy one thing at a time and invest in quality, so you won’t have to purchase again. Don’t worry about furnishing your whole space at once! Be patient. Don’t rush. You will thank yourself later! 2. Take advantage of special financing with approved credit, but don’t skimp on the down payment! Putting more than the minimum amount required will minimize your monthly payment and increase your chances of paying off early. Save and pay in full if you can! Remember, don’t rush! 3. Hunt your space. Using pieces you already have and mixing in a few new items will result in a space that has more personality. You may hate that table in your foyer now, but with a new coat of paint, lamps, and a few accessories, it could take on a new life! We have found that mixing in pieces you already own prevents your space from becoming overly “matchy” and also saves money! 4. Buy timeless, not trendy. When you are deciding on a piece of furniture, think about whether or not it will be “in style” a year from now. Choosing items that are too trendy will prompt new purchases when they are no longer current. It is also a good idea to purchase multifunctional items that can move from space to space and serve different purposes. We hope these tips help you on your furniture buying journey! Have any other ideas? Let us know in the comments below or on our Facebook! This entry was posted in Uncategorized on July 7, 2016 by Staci Wright. With the Fourth of July right around the corner, we decided to come up with some ideas to make your outdoor space as functional as possible for your celebration. Despite the heat, it is always fun to grill a few hamburgers, take a swim, and watch fireworks at the end of the day. So, how do you make sure your guests are comfortable, while maximizing your backyard potential? To add an instant ambiance, go with this fire pit table that has a mini flame that will light up your area while enjoying those freshly grilled hamburgers outside. Shelves behind a cabinet provide extra storage (perfect for hiding the extra chips!). Or you can stick with a classic outdoor dining table and chairs that make for a comfortable pit stop after a dip in the pool. Create a conversation area with four comfortable chairs around a fire pit. It’s never too hot for some smores, right? Imagine your July 4th party with a stocked cooler! This solid wood cooler is the perfect addition to any backyard shindig. We hope this gave you some ideas on how to make the best outdoor space possible! All of these items are available at Turner’s Fine Furniture! Let us know if you have any Design Dilemmas you would like to conquer! You can leave a suggestion in the comment section below or let us know on our Facebook! This entry was posted in Uncategorized on June 28, 2016 by Staci Wright. 1. Add colorful decorative pillows to contrast your sofa. Choose a pillow you love and go from there! Any color, pattern, or style will work. Use these pillows as the inspiration for the surrounding area. 2. Find a textured throw blanket that adds dimension to your drab sofa. A throw helps add visual interest and a sense of coziness you are sure to love. 3. Fun artwork can attract the eye and take the attention away from your sofa. In this case, the artwork accents the pillows perfectly to create a balance of color. 4. Who said a lamp can’t be fun? Don’t be afraid to bring in color here! 5. Last, but not least, the rug. A rug should visually ground the sofa, add color interest, and have a contrasting texture. Follow these steps and you are on your way to a full makeover! All of these items are available to order at your local Turner’s Fine Furniture location. As always, our designers are here to help make your interior design goals a reality. Have any questions? Let us know on our Facebook! This entry was posted in Uncategorized on June 14, 2016 by Staci Wright. As we have gone over in previous posts, buying furniture is scary. How do you know if the pieces you are considering are worth the price? Sometimes, it is hard to tell! In our buyers guide series, we hope to eliminate some of that fear and help you decide which pieces are worth investing in. In this week’s post, we are covering wood products, such as dressers, chests, and nightstands. There are simple ways to tell if the piece you are buying is worth that pricey tag. 1. It all starts with the wood. A high quality piece will be made of a solid hardwood. This wood will then be kiln dried to release any moisture that will cause the wood from expanding or contracting over time. Unfortunately, solid wood is rare to find so your next contender should be an engineered wood with solid wood veneer. 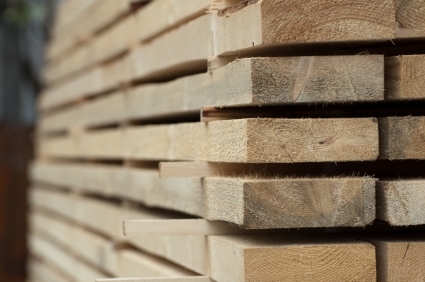 An engineered wood should not be dismissed because of its overall strength and durability. a. 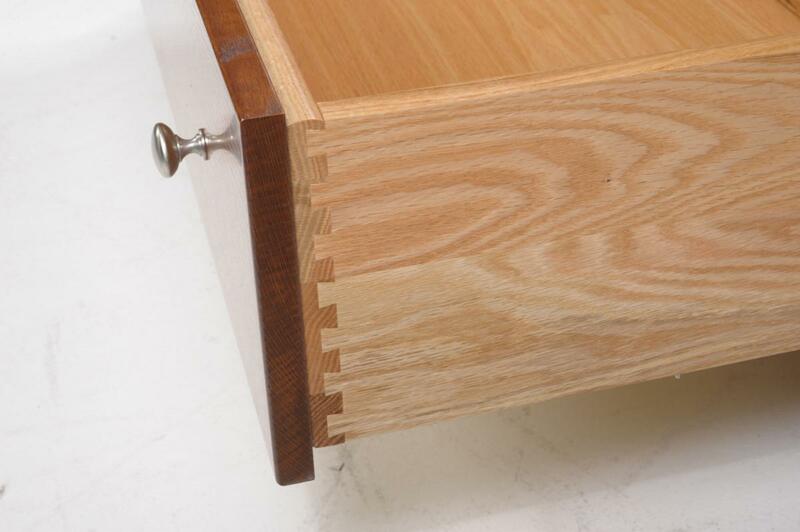 A smooth, even dovetail joint is the most visible joint technique that showcases quality. This type of joint is noted for its tensile strength and once glued together, requires no mechanical fasteners. b. Corner blocks underneath the drawers. If you take a peek under the drawer, you will notice a small block in the corners. This adds extra strength and stability by enforcing joints. Dust panels. A high quality wood chest should have thin pieces of wood in-between the drawers. This adds extra strength, keeps dust off of your clothes, and allows the drawers to glide properly. Glides. Whether your furniture has a mechanical glide or a wood glide, you want to make sure the drawers glide smoothly, close flush, and have stoppers so they don’t fall out. Back panels. If you look on the back of your piece, notice how the back panel is attached. You want to look for a sanded smooth and well-fitted engineered wood that has been screwed in, not stapled. As always, if you are unsure about your purchase, any of Turner’s designers would be happy to explain the quality difference and go over these steps with you. If you have any other concerns about the buying process, let us know in the comments below or on our Facebook page! This entry was posted in Uncategorized on May 24, 2016 by Staci Wright. 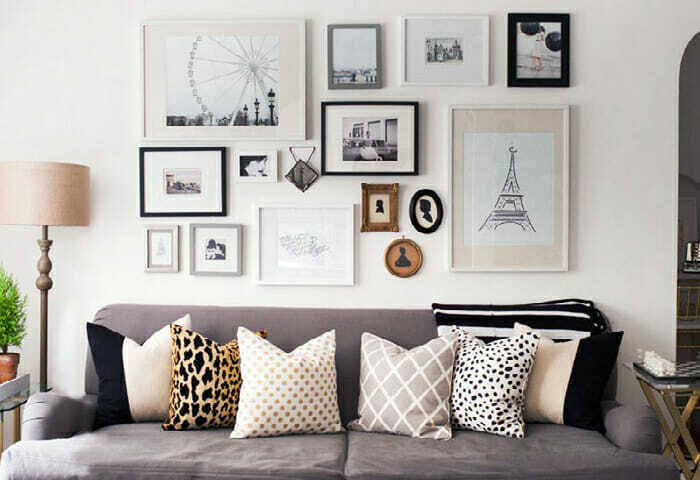 Gallery walls are the perfect way to show off your collection and to create a focal point in your space. However, building your art collection and figuring out how to display them, normally scares people away. We hope that these few tips will eliminate your fear and send you on the way to an expertly styled gallery wall. It takes time to build a big enough collection to display in a gallery configuration. Our best tip is to be patient and collect pieces you love instead of trying to buy it all at once. The best gallery walls are made up of quality pieces that have meaning. You can get creative; however, and use found objects, letters, mirrors, photographs and other memorabilia that will add dimension and texture to your wall. After framing and before hanging anything on the wall, plan your layout by laying every thing out on the floor. This will give you the opportunity to visualize how they will look together. If you are having trouble creating a layout, start with your largest pieces first, and let the smaller pieces fall naturally into place. You want your largest pieces to be distributed evenly throughout the layout. Once you are happy with your layout, use kraft paper to cut out the different sizes and shapes of your items. You can use painters tape to attach each cutout on the wall in your desired design to make sure everything is perfect before hanging. While your kraft paper is still on the wall, hammer your nails in their designated places, then rip off your kraft paper to replace with a frame! So easy! 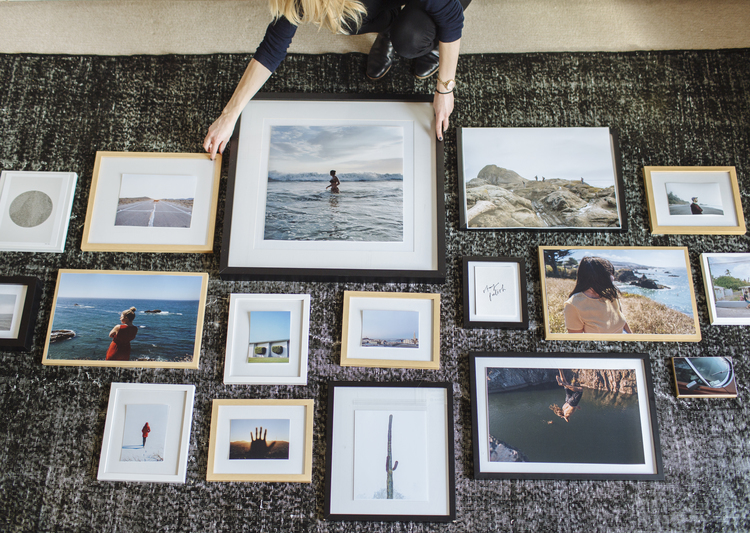 With a little practice and patience, you can achieve an expertly curated gallery wall in no time! 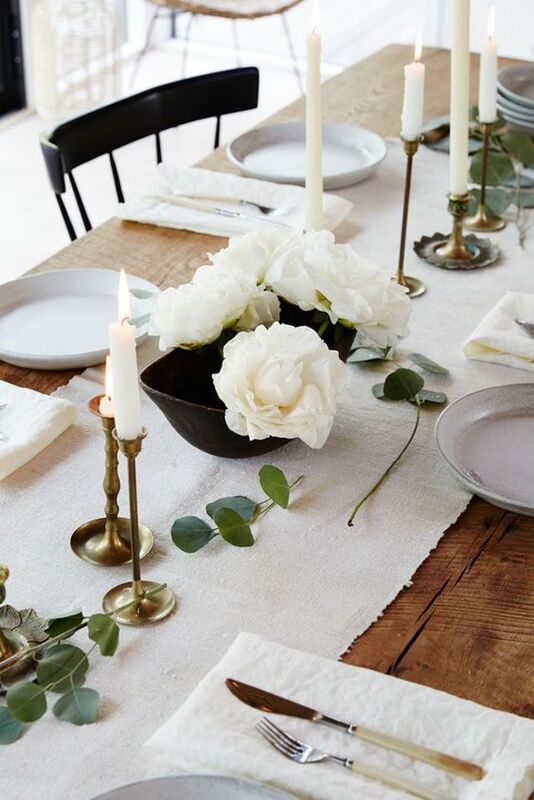 There is no better way to impress your guests and add personality to your home. If you have another Design Dilemma you would like to tackle, let us know in the comments below or on our Facebook! This entry was posted in Interior Design and tagged create a gallery wall, furniture albany, furniture tallahassee, furniture tifton, furniture valdosta, gallery wall, hanging artwork, interior design on May 17, 2016 by Staci Wright. 1. You are tossing and turning and it is preventing you (or your partner) from getting a good night sleep. 2. You are waking up with back pain and stiffness. 3. You are sleeping too hot or too cold. 4. Your partners movement disturbs your sleep. 5. You are rolling off the edge or rolling towards the middle. These are all very common problems that can be solved with the right mattress. But where do you start? We hope to help you with that today and give you insider tips and tricks to choosing the mattress that will meet your needs. So, what kind of mattresses are available in today’s market and what can they do for you? Memory foam is the “up and coming” product in the industry. This product is mostly recommended for those who have chronic back pain, are tossing and turning, and are disturbed by partner’s movement during the night. Memory foam is a sensitive material that will conform to your body, reduce pressure points, and keep your spine aligned during the night. There have been complaints over the years about this product trapping heat, but manufacturers are now including high tech cooling systems that will act like a thermostat and regulate your temperature through the night. At Turners, we carry memory foam mattresses from Tempur-Pedic and Serta. Latex mattresses are made up of a hypoallergenic Talalay Latex that is one of the most resilient products on the market. These are great if you are having a support problem (waking up with back pain) and if your mattress is dipping. Mattresses that are 100% latex are less likely to “dip” over time than any other type of mattress. Unlike a memory foam mattress that conforms to your body, latex will push back, providing a firm support. If you do not like the feel of a firmer mattress, latex may not be for you. Turner’s carries latex mattresses from Restonic. Innerspring mattress are the oldest and most commonly used mattresses. If you enjoy the traditional feel of a quilted mattress and don’t like the feel of a latex or memory foam, these might be for you. Coils in mattress now are more advanced and stronger than those in the past. They are individually wrapped, which helps distribute weight, reducing movement during the night. They are also better equipped to reduce pressure, because they are able to act individually and conform to the weight of your body. It is recommended that you look for innerspring mattresses with a medium to high coil count, foam encasement around the edge, and dense support foam. Choosing the cheapest inner spring mattress will not solve back pain issues over time. Turner’s carries innerspring styles from Serta and Restonic. “Lifestyle Bases,” as we call them, can offer further solutions to your sleep problems. Lifestyle bases replace the boxspring and provide a head and foot lift to help you get out of bed, support you in a TV watching or book reading position, and relieves pressure in lower back. These are especially helpful for those who have sleep apnea, because raising your head while sleeping opens up your airways and prevents your tongue from falling to the back of the throat. The same concept also applies to those with acid reflux. Lifestyle bases, or adjustable bases, are compatible with all memory foam or latex mattresses, and a few innerspring mattresses. Turner’s carries bases from Tempur-Pedic, Serta, and Restonic. Although there is always going to be some confusion in mattress shopping, we hope this clarifies some questions you may have had. We always suggest you make a trip to the store and try them out for yourself. Mattresses feel very different to different people, making reviews bias to the owner. It is essential to invest in sleep, considering we spend half our lives catching some zzz’s! Make sure to check us out on Facebook and let us know what questions you may have about the buying experience! This entry was posted in Buyers Guide and tagged best mattress, buying a mattress, mattresses albany, mattresses moultrie, mattresses tallahassee, mattresses tifton, mattresses valdosta on May 10, 2016 by Staci Wright. #DesignDilemma: Choosing a color palette for your whole home. We’ve all been there! When you are building/remodeling your home and you are asked what colors you would like to choose for your ENTIRE HOME, we all tend to panic! Do I use the same color throughout? How do I mix colors so they don’t clash? The list goes on. This tends to lead to what we like to call, paint color procrastination. We are here to tell you that this doesn’t have to be stressful! There is a simple way to make sure that the colors you are choosing are cohesive and create a stunning flow through your home. 1. Start with your main/largest area and go from there. This is going to help you identify the palette for the rest of the home. Is there a certain color you absolutely love? Start there. We also suggest allowing this color to be fairly neutral and not too dark. 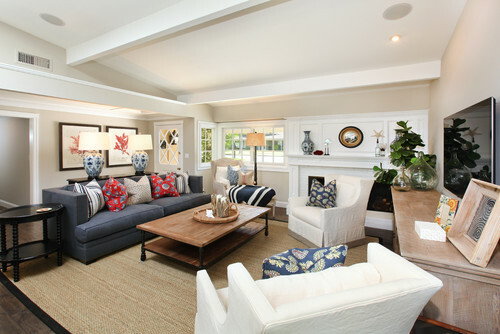 Since it is the largest area of your home, you want the space to feel open and accepting to other accent colors. If the color you love is dark, look at the lighter shade of the same color (you can use the paint indexes found at any paint supply store). 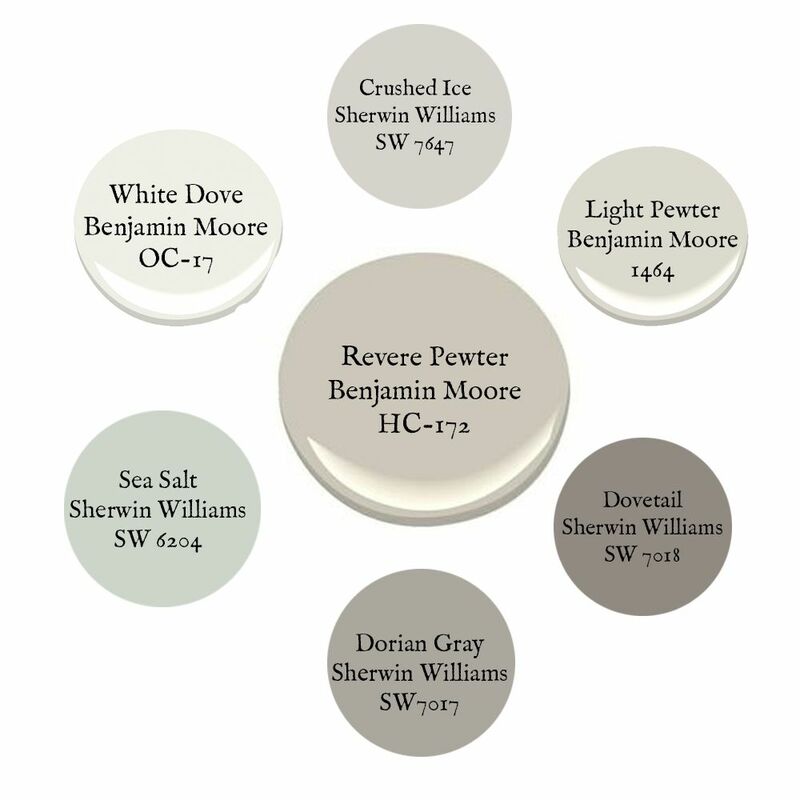 For this example, we are starting with Revere Pewter by Benjamin Moore. 2. Start to build your palette using different shades of the same hue. This is a guaranteed way to make sure the colors you are choosing are cohesive. This helps that “paint color procrastination” we were talking about. Using tints or shades of the same color work especially well in spaces that are visually connected. 3. Use accent colors in bathrooms and bedrooms, but make sure they still flow with your main house colors. Using random colors in every bedroom and bathroom can make the paint colors seem like an afterthought. Create continuity by selecting hues with similar undertones. If you love reds with blue undertones, look for other colors with blue undertones. 4. Still unsure? Test your potential palette and see if they visually work together. You will be able to tell if your color palette is cohesive. If something doesn’t seem right, try taking out a color to see which one is the culprit. We hope this helps ease some paint color anxiety and helps you tackle your next project! 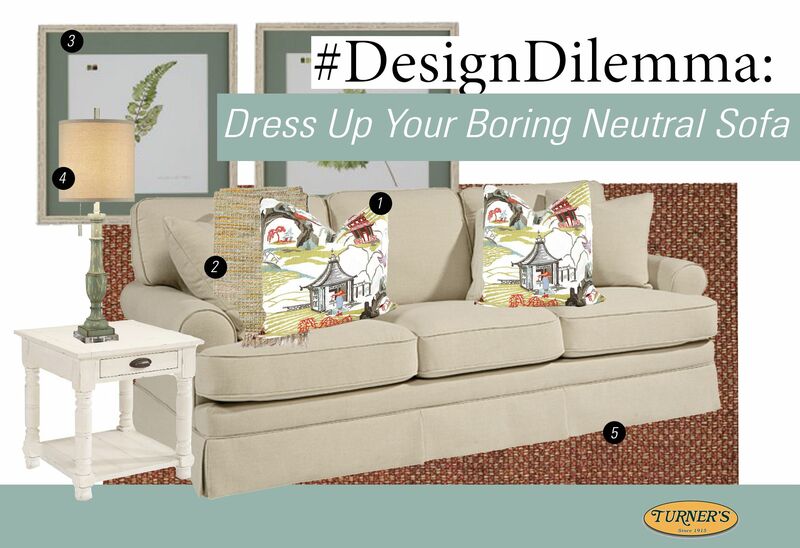 Let us know in the comments below if you have any questions or have another #DesignDilemma you would like to solve! Make sure to follow us on Facebook for sale items, new arrivals, and interior design inspiration. This entry was posted in Interior Design and tagged choosing paint colors, furniture albany, furniture tallahassee, furniture tifton, furniture valdosta, interior design, paint colors, whole home paint palette on May 2, 2016 by Staci Wright.